Running from January 13-February 26, local artists, interested in the future of Yokohl Valley, have contributed artwork to a new exhibit at the Tulare Historical Museum. The exhibit will include various media including oil, acrylic, watercolor, photographs and sculpture. All entries will relate in some way to Yokohl Valley. 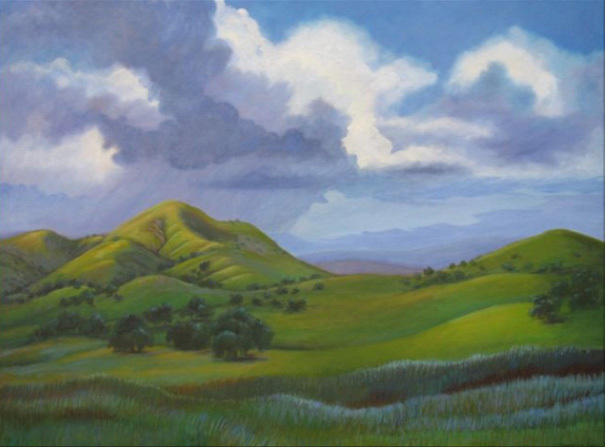 The exhibit follows a similar show held at Arts Visalia in 2009 intended to bring attention to development plans for Yokohl Valley, located in the Sierra foothills east of Exeter. The J.G Boswell Company wants to build Yokohl Ranch, a 36,000-acre project to be developed in stages with a planned community of 10,000 homes, golf courses, parks and a reservoir. Mona Fox Selph, a Three Rivers artist, attended an informational meeting on the project in 2008. She became very concerned and wanted to raise awareness about the plans for Yokohl Valley. She organized the first show at Arts Visalia, “Views of Yokohl Valley,” with help from Carol Clum, Laurie Schwaller and Shirley Blair Keller. “It was well attended and received,” Fox Selph said. “I felt that the idea needed to be repeated at other locations so that more people could think about the issue and the impact development would have.” The Tulare City Historical Society, which operates the Tulare Historical Museum, has not taken a position on the Yokohl Ranch development. Call 559-686-2074 for more information. For more information about the Yokohl Valley project contact Tulare County Citizens for Responsible Growth.